I went to buy a N95 and finally settled with this. All know about the features of N95 but still I went for this primarily because of so many advanced features at lower price (even 18,000 is not so cheap, 3,000 INR difference from N95). Moreover this is window mobile phone and you can edit office documents. Business card reader is one of the primary features that interested me. Note N95 doesn't have such a feature. The camera isn't too bad when compared with other business phones at least better than HTC touch, HTC TYTNII. Loads of features at an reasonable price. Anonymous, 09 Jul 2008sumbody pls tell me if ts rly worth bying this fon That is really a matter of personal opinion, depending on what all you're looking for in a phone. I had my heart set on buying the HTC Touch, but then I saw this phone in the store. Did some research, and immediately decided to buy this the very next day, since it provided a lot more for the same price! Does ASUS P527 provide support for WebServices(JSR 172)?? Anonymous, 07 Jul 2008Please tell how exactly to use mp3 file as alram ring tone. thxAs I described earlier, while MP3 files can directly be set as your ring tones, this can not be done for alarms! The only method that worked for me is to convert your MP3 into a Wave file, and copy it into the Windows directory. It then starts to show up in the Alarm Options page. 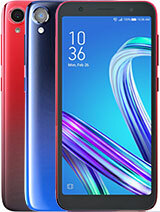 Read earlier opinions it is one of the best phone available in Australia. 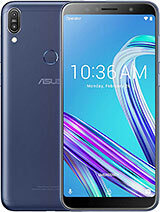 can you get asus phone working in Australia..
Santhosh, 27 Jun 2008Hi, I'm using Asus P527 handset wherein I have in built GRS. The real problem i'm having i... moreBy GRS, I'm guessing you mean GPS! Even if you lost all your "settings" due to a device hard reset, you should still have the SatGuide installer/software still there on the SD card that came with the package. Just use it to simply re-install the software! 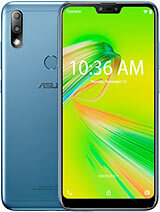 I'm using Asus P527 handset wherein I have in built GRS. The real problem i'm having is. Due to some proble i resetted my mobile setting to default factory setting wherein i lost all my GRS setup and everything. But i'm having my DID and Activation KEy. Can anybody let me know from where i can download the setup and install the GRS using my DID and Activation key. Yes you can use Mp3 tone provided that you copy it in the right directory so that it is visible under the windows music files that are already provided. Anonymous, 25 Jun 2008Do we have an option to set .mp3 as alarm in asus p527? Unfortunately, this isn't as easy as it should have been in the first place. While MP3 files can directly be set as your ring tones, this can not be done for alarms! You can set any music file as per your choice as alarm. This is a windows mobile phone and you can do anything you wish to do. Use it like a laptop. Do we have an option to set .mp3 as alarm in asus p527? Hey I found out a new thing with this phone and I felt like sharing with all of you guys. In flight mode and listening to music non stop the battery lasts over 12 hrs. 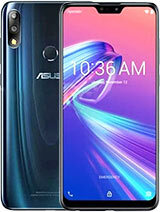 hey..can anyone pls suggest me some good software for music...as the media player gives low sound..
Prashant, 16 Jun 2008Hi Ashish, Could you please post when you do receive a newer SatGuide version from ASUS. I ... moreFor anyone experiencing the time lagging issue with the SatGuide GPS software, I was able to find a fix for the problem. Download and install the small patch, and you should be okay after that. 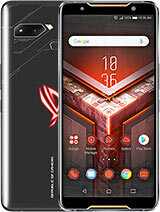 Could you please post when you do receive a newer SatGuide version from ASUS. I have also seen the hanging issue, although only twice in the one week that I have had this device. Let's see if an update fixes it. The time lagging issue is actually pretty irritating, since it keeps on reseting my system clock back by 30 minutes every time I exit the application. Not sure if the update will take care of this issue. Finally, thanks a TON for suggesting Google Maps - I didn't even realize that they had an option to use the inbuilt GPS! You were right - while SatGuide could not find a signal inside buildings and within a few areas, Google Maps was able to find 3-4 satellites in each case! 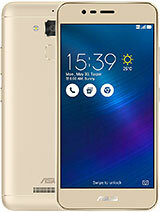 Total of 760 user reviews and opinions for Asus P527.